Dyer-Gunnell Post 180 holds "Family First" Veterans Day ceremony | Legiontown U.S.A.
On Nov. 11, 2017, over 70 Legion Family and Town of Vienna community members gathered at American Legion Dyer-Gunnell Post 180 to pay respects to veterans and their families for their Veterans Day ceremony. There were veterans in attendance who ranged in war era from WWII to the current Iraq-Afghanistan conflicts. 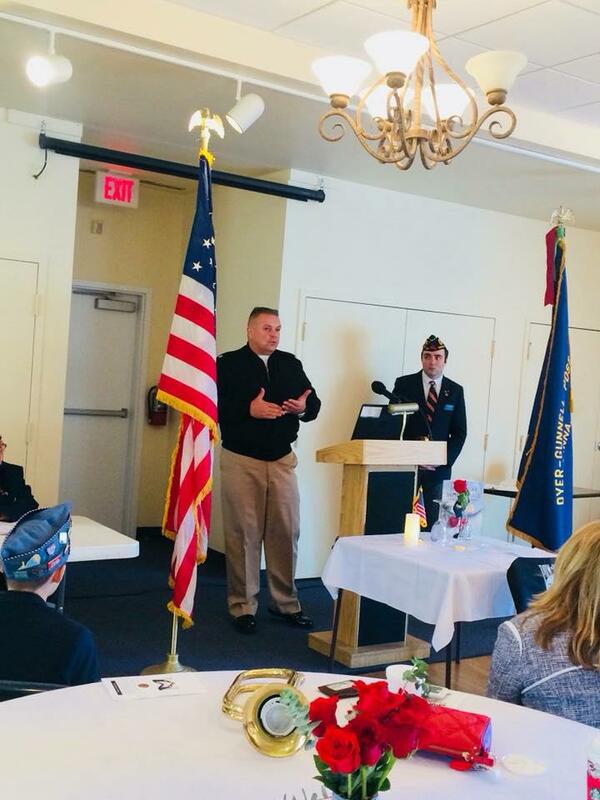 There were many of the four Pillars of The American Legion on display throughout the ceremony, with an emphasis on Children & Youth and Americanism. 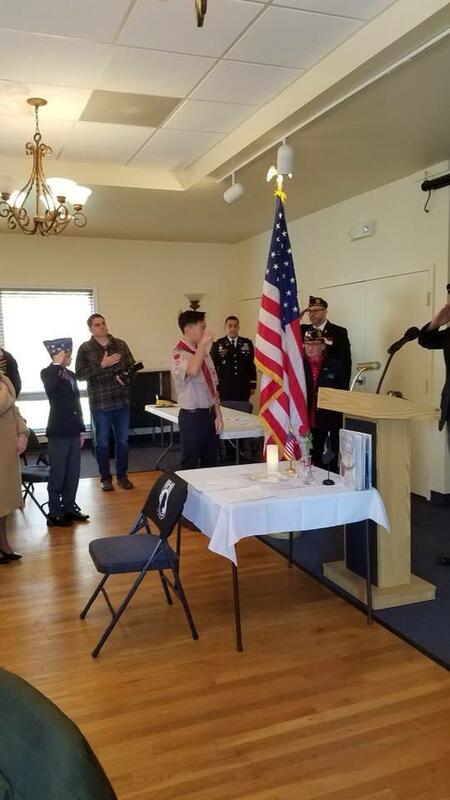 Boy Scouts from Troop 1539 served as the color guard, and a Junior Squadron 180 member led the audience in reciting the Pledge of Allegiance, followed by guest entertainer Amy Andrews singing the National Anthem. Daisy Troop 50076 donated centerpieces and flowers for the tables. This group of elementary-aged girls were very enthusiastic with their efforts, and at the beginning of the ceremony shouted at the top of their lungs, “Happy Veterans Day” and “Thank you for your service” to all the veterans in the room. 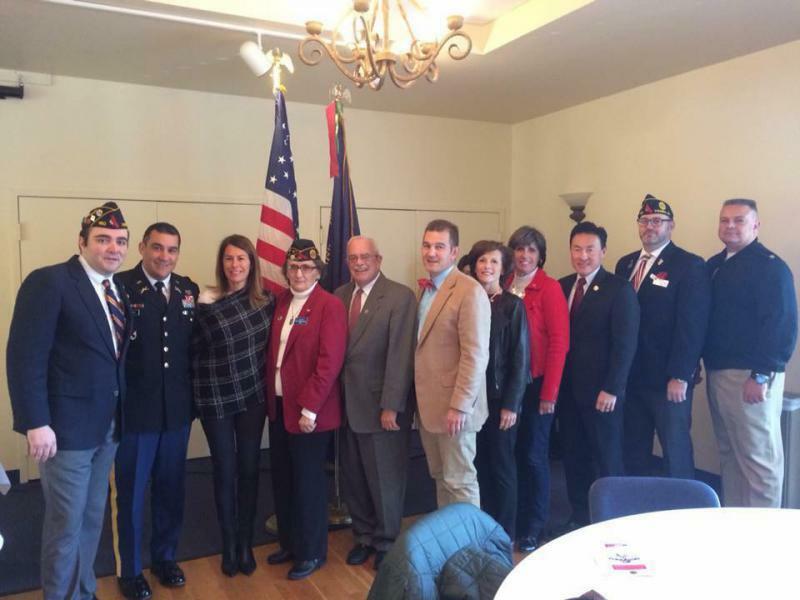 Also in attendance were local political figures that included Congressman Gerry Connolly; Virginia State Senator Chap Petersen; Delegate Mark Keam and Town of Vienna Mayor Laurie DiRocco, along with additional Town Council members. 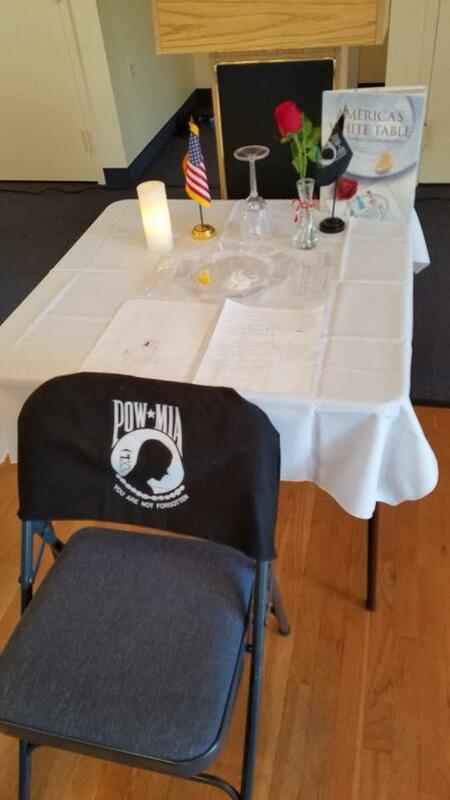 The program included a solemn demonstration providing the true meaning behind the lone POW-MIA table that's often displayed at military and veteran’s ceremonies. 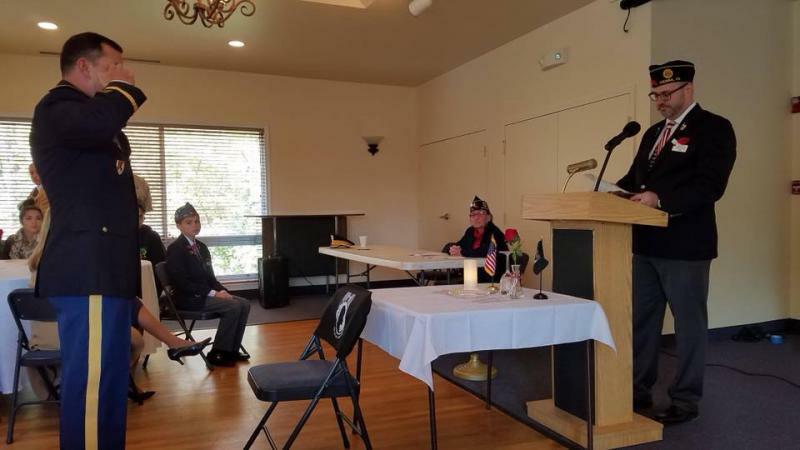 During the reading of the children's book "America's White Table," by Margot Theis Raven, Junior Auxiliary Unit 180 members acted out the roles described in the book. Congressman Gerry Connolly provided a brief speech showing his support for our veterans, along with a brief history lesson of how Veterans Day came to be. Navy Commander Donald Wilson, commanding officer for NCMS Washington, DC, delivered an inspiring speech as the guest speaker. His opening line, “I am proud to be an American. Are you proud to be an American?” set the tone for his words that followed. 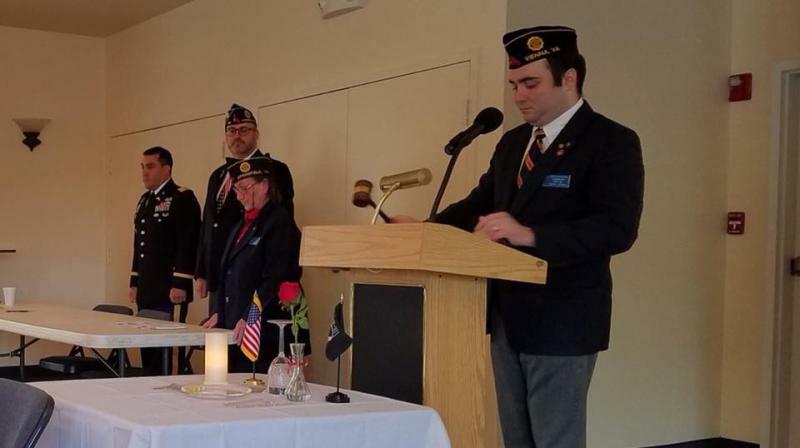 A special dinner was held immediately after the ceremony, with special music being performed by the guest entertainer, and concluded with local Cub Scouts, Boy Scouts and Legion Family members providing a flag retirement ceremony to more than 1,000 unserviceable flags received from the Town of Vienna. 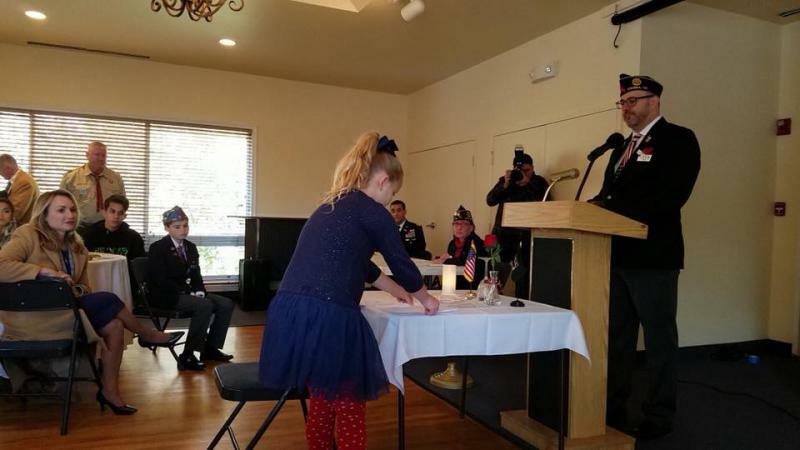 Daisy Troop 50076 donated the centerpieces for the tables and thanked the veterans for their service. LCOL Guillermo Guillen, who is also the post's First Vice Commander, participates in the "White Table" reading. Second Vice Commander Dave Wallace reads the story, "America's White Table," as a Junior Auxiliary Unit member participates laying the handwritten words of "My Country Tis of Thee" on the table. Post Commander Jason Feimster welcomes and addresses the audience. Navy Commander Don Wilson, Commanding Officer of Naval Communications Security Material System, served as the guest speaker. 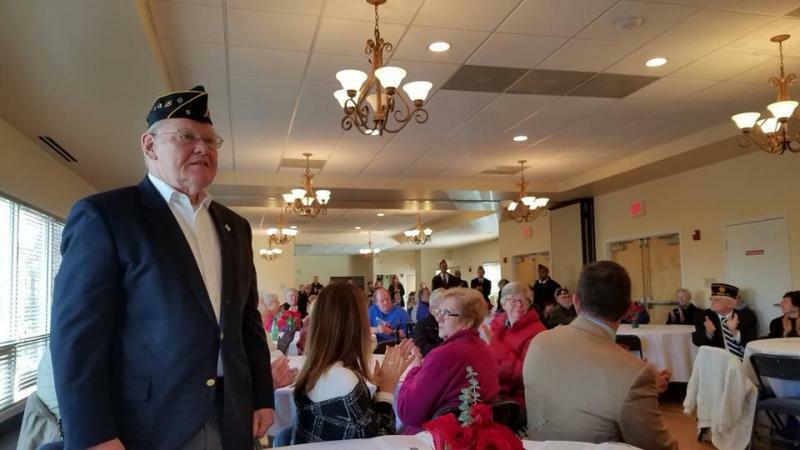 The Town of Vienna and local political figures were in attendance showing their support for the Post's veteran and community outreach.